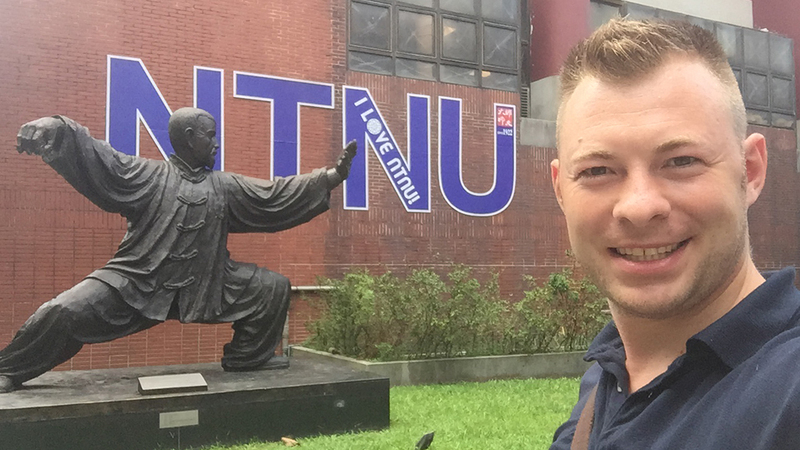 Jonas Reiner, Master International Business student at MBS, is currently spending his semester abroad at National Taiwan Normal University (NTNU) in Taipei. Here, he regularly shares his experiences. My second MBA Semester at NTNU in Taipei is drawing to an end and I am about to hand in my thesis. I decided to write my thesis at NTNU because here I found overwhelming support for my new project: the foundation of a cooperative skill-sharing network for local services. Within the scope of my thesis, I supported my startup and undertook all the necessary market research to foster the business model. The end of my MBA studies in Taiwan has turned out to become a start into a new era for me. This is why I decided to extend my stay in Taiwan and to dig deeper into blockchain. The largest university of Taiwan (NTU) even offers a blockchain course that I enrolled for last semester. 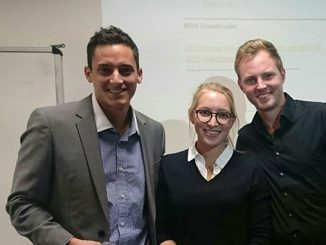 Group projects try to either develop more efficient blockchain solutions or apply existing blockchain technologies to new use cases. Interestingly, discussions with Taiwanese people are inspiring and great as opinions can be expressed freely and in a respectful way. The open mindset allows innovation to happen. 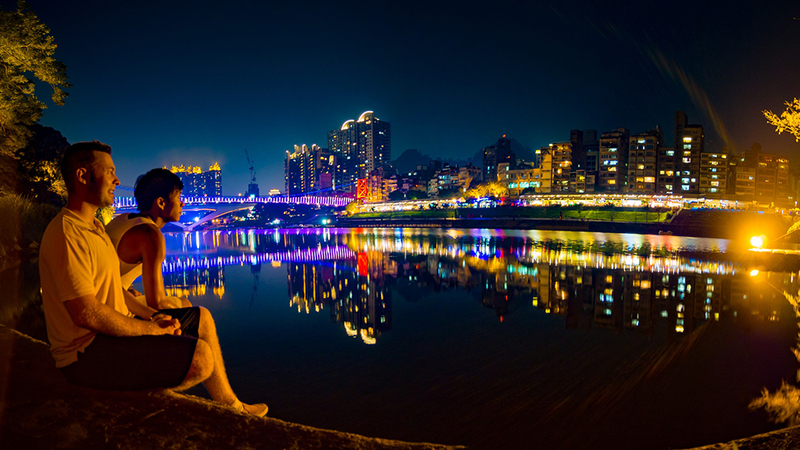 Thanks to Taiwan’s open and innovative mindset, Taipei has become one of Asia’s blockchain hotspots. This could help me finding investors and offer a perfect market. With Taiwan facing a little blockchain boom, the tensions with china are increasing at the same time. It seems like Beijing undertook a shift in diplomatic strategy. It now seeks to erode the sovereignty of the island and isolate it from the international community. 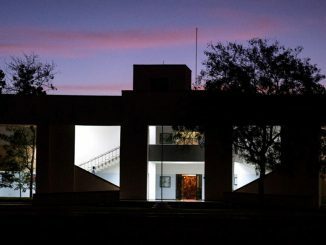 Recently, Panama and the Dominican Republic terminated their diplomatic recognition of Taiwan. However the tensions and political situation develop, I hope that innovation, openness, and creativity in Taiwan remain. Topics like this are best discussed in one of the hot springs in Taipei’s nearest national park Yangmingshan. The particular natural hot spring creek is one of my most favorite places nearby. With the smell of sulfur and in total nature sealed off the busy city, the extremely hot spring is a blast, especially in winter. With this post, I would like to say goodbye. I hope you liked my short introductions to culture and student life in Taiwan here and decide to come to Taiwan yourself. If you have any questions, don’t hesitate to contact me on Linkedin or visit me in Taipei. But before I can start new adventures in Taipei and Asia, I will enjoy summer back home in Munich. It is just getting too hot and humid now in Taiwan. July is a torture here. Taiwan was formed by the collision of tectonic plates, and hence shows volcanic activities in many places. This gives the benefit of many beautiful natural hot springs. Especially in the winter, it is phenomenal to have a hot bath under a natural hot spring fountain such as in the Taroko National Park. Yet it also comes with the danger of earthquakes. As you might have read in the news, we recently had a lot of very strong earthquakes. During the last week, I counted around 20 to 30 little earthquakes that i could directly feel. Among them, there was a big one with around 6.4 on the Richter magnitude scale. Everything was shaking, and I was afraid that my cupboards might fall down or walls break – especially because many buildings in Taipei have illegal add-on floors or room enlargements for restaurants in the first floor, which destabilizes their structure. Nearly 95 % of the buildings in Taipei are considered to have such illegal refurbishments. I agree with my roommate Mathias (a fellow MBS student from Norway) that earthquakes are scary and exciting at the same time. Noteworthy are also the emergency messages that every cellphone gets during an earthquake. In the end, even during the big earthquake, nothing got destroyed in our house, and I was very relieved. On February 16, we celebrated Chinese New Year. I spent this special day with my fellow student and his Taiwanese host family. Here, I really understood that Chinese New Year is more than hotpot, Mahjong, red envelopes (little monetary presents for children), and crackers/fireworks; it is also a major religious event. In Taiwan, there are two main religions, which are Buddhism and Daoism (a Chinese folk religion that worships multiple gods, such as the god of fire, sun, moon, exams, relationships, business etc.). In the end, these two religions sometimes get mixed a little bit. However, my friend and his family are Buddhists, and so they invited me to a very intensive retreat! I was impressed to witness their faithful prayers and meditations, and to hear all the interesting explanations from my friend and his family. My personal takeaway was to find out that Buddha is actually not a god, but more a final state of perfection/purity that Siddhartha Gautama achieved, and everybody could achieve as well. But the more I learn, the more questions I have. Still a long way to go for me, but luckily I still have at least five months left. 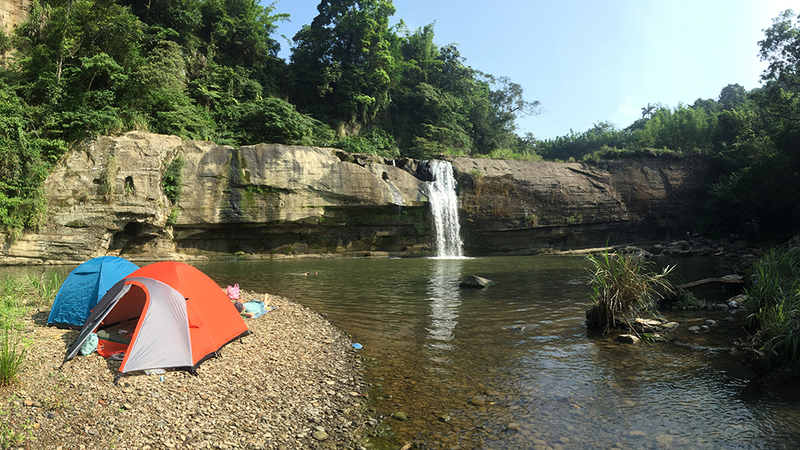 Overall, it was a pleasant semester holiday in Taiwan with temperatures around 20 degrees! All the best to everybody for the new semester, I hope we will see each other in Taiwan soon! Today I’m back with some updates from Taiwan! As announced last time, today I want to tell you something about the crazy traffic here. When I came to Taiwan to spend my semester abroad, I bought a scooter (125cc) – and have since been making the roads even more unsafe than they already were. Riding a scooter in Taiwan is extremely dangerous, but also the greatest fun you can imagine! At peak times, dozens of scooters are chasing across the city streets. Under these circumstances, it is all the more astonishing that all road traffic in Taiwan is highly professionally organized and structured. Sometimes there are special roads for scooters, for buses, and highways for cars. The separation of traffic into different lanes ensures that you can get through the city center really quickly. It becomes especially crazy when you want to turn left with your scooter. In order not to interfere the oncoming traffic or the vehicles turning left, you have to drive on special rectangular, marked scooter zones on the right side of the street, and wait there until you can drive straight ahead with the traffic coming from the right. In order to prepare myself as well as possible for the traffic, I even passed the local driving test. In the practical test, you have to maneuver through a course with simulated and standard traffic situations. That sounds simpler than it is. The difficulty lies in the fact that you have to drive along a ten-meter line in MORE than seven seconds. With a little bit of practice, I finally managed to do it… applause, applause, applause! The excursions into the nature are wonderful. The best way to cross mountainous landscapes, tea hills, national parks, river banks, or coast areas is to ride a scooter! 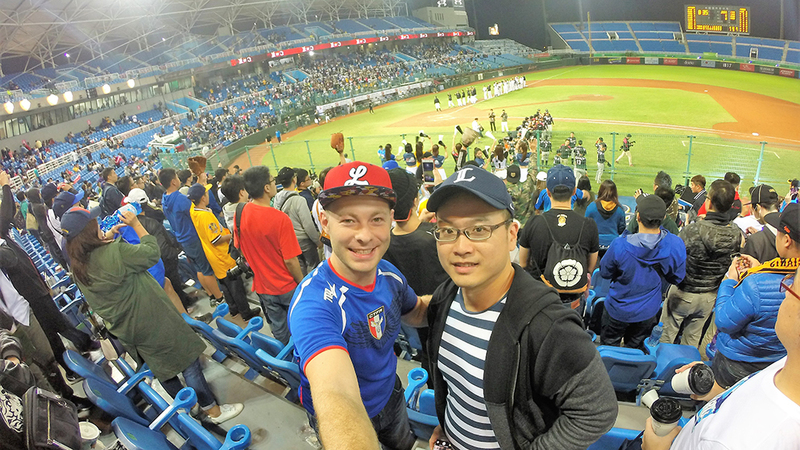 In the evenings, I like to go to the stadium with friends and watch basketball, baseball, or football games. It is remarkable that the Taiwanese national teams don’t wear jerseys with the “official” ROC national flag at international matches, but individual creations, or the logo of the Olympic flag of “Chinese Taipei”. However, this does neither spoil the national pride nor the emotional atmosphere. At this point, I would like to take the liberty of giving a little side blow to the global commercialization of sports: in the Taiwan Basketball League, there are seven teams, all of which are run by large companies. So it happens that the fans and bankers of the “Bank of Taiwan” team run up against the brewers of “Taiwan Beer”. Wonderfully staged with flag-wavers and cheerleaders! A toast to the sport – which is at the center of attention, of course! In the new year, I will be reporting again with a write-up from the Chinese New Year’s celebration, which will be celebrated on February 16th. Although gambling is forbidden in Taiwan, an old Chinese game called Mahjong is extremely popular here. It’s played among four people and with surprisingly big amounts of money. The traditional game rules are similar to the modern “Rummikub” version, but much more complex. The games turn out to be lively and loud. Players shout “吃” (chi – eat) and “碰” (peng – bump) to steal stones and take advantage of the propitious moment to make dirty jokes. Believe me, playing Mahjong is a lot of fun and definitely my best experience so far in Taiwan. 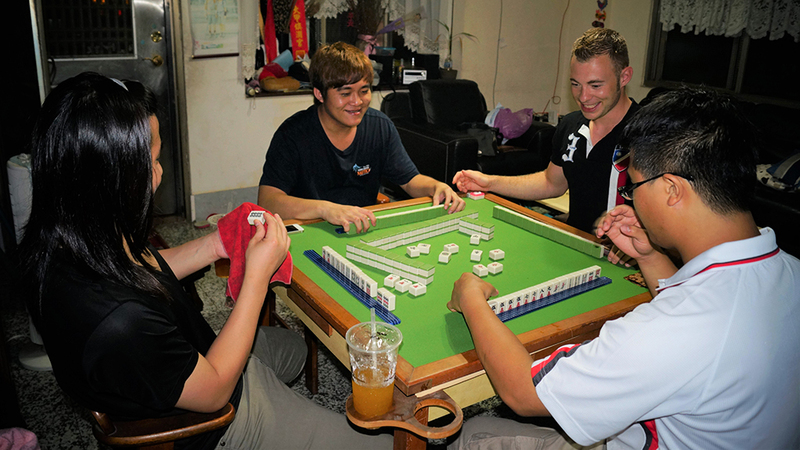 Jonas playing Mahjong with domestic Taiwanese students. For a typical game night, of course people usually drink “Taiwan beer” or “Gaoliang” (a strong sorghum liquor), but local students actually don’t drink a lot of alcohol. The most common beverage for Mahjong and student parties is TEA! Very surprising, isn’t it? My friends and me just get some bubble tea from the closest tea shop down the road. These tea chains offer a huge variety of flavors and tea types, and you also choose the temperature, level of sweetness and type of bubbles (made from Tapioka or fruit jellies). I personally like to order the Lemon or Peach Oolong Tea with ice and standard level of sweetness, but without bubbles. Taiwanese friends prefer black tea with milk and bubbles. A 500ml tea cup is about € 1.50. This brings us to another interesting part of Taiwanese culture: The tea culture! Drinking hot fresh tea is as much celebrated as tea ceremonies in Japan. According to old Chinese traditions, people drink the tea from delicate, little teacups pouring hot water over the many cups again and again. When enjoying the rich flavors of Taiwanese famous teas, I find myself discussing fragrance and taste with the locals. Hence to be honest, I struggle a lot to distinguish the different flavors. Maybe so do they. 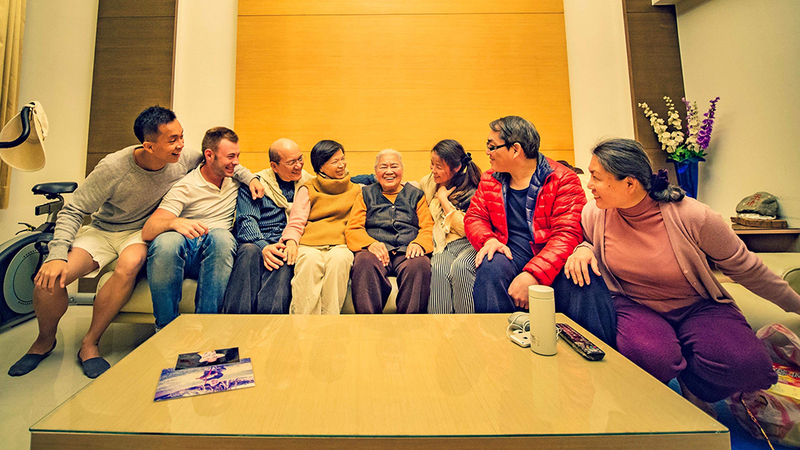 Nevertheless, chatting over tea is a favorite way of the Chinese to spend a quality life time. A perfect spot to escape from the busy city life are the Maokong tea hills located just south of Taipei. Little tea houses provide an astonishing view over the tea fields and the skyline for just € 10 per tea session. Can you imagine a better place to play Mahjong? Jonas (3rd from right in the back row) with fellow students. 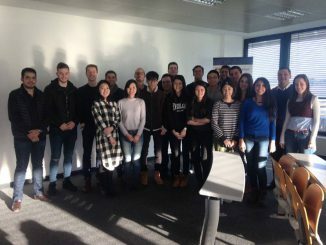 Also on this picture are two other MBS students spending their semester abroad at NTNU: Jane Wang (2nd from left), Blerta Xibri (3rd from left), and Mathias Grevstad Heuch (2nd from right in the back row). Stay tuned: Next time I tell you something about Taiwan’s famous chewing nut, called “Bing Lang” (槟榔 – betel nut), and why Scooters have to turn right in order to go left! Why did you select your host university? Taiwan is a wonderful country in the heart of Asia. I came here as an exchange student for my 4th Bachelor Semester in 2014 and got persuaded by the astonishing landscapes, convenient lifestyle, interesting culture, history and fantastic cuisine. The Mandarin Training Center of NTNU is one of the best Chinese language schools in Asia and provides a perfect study environment for me. To put it in a nutshell, I now want to continue my experiences and studies of the Chinese language. What do you hope to gain during your semester abroad? My first goal is to improve my Chinese language skills to a level of fluent daily life conversations. Moreover, I try to emerge into the Taiwanese culture as much as possible. 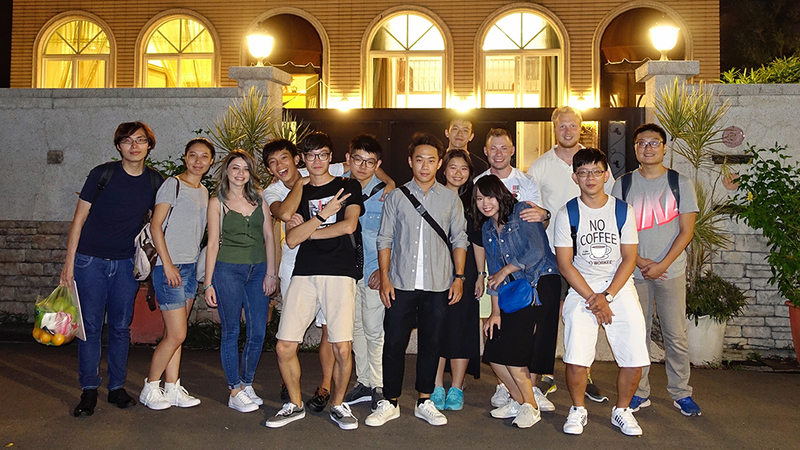 Thankfully, the MBS Buddy Program already connects international students beforehand and helps to foster good relationships. Emerging into the local cultural is an incredible feeling. Last night for instance, we played Mahjong. You know that you are on the right way of emerging into the local culture when you suddenly start swearing about an unlucky set of stones in Taiwanese. What do you think might be different than at MBS? The pace of studying is definitely more comfortable and life is more convenient. This gives me the perfect opportunity to explore the country and its people. I also enjoy the campus life at NTNU as it provides a huge variety of different courses. This is just one example of the plurality that you can feel everywhere here. Finally, the lower price level makes things a lot easier.